I give you thanks for this wondrous life - all your works are wonderful. Sixty years of Dominican Life have truly been a gift and blessing for me. I have so many things to be thankful for. I was raised in a strong Catholic family that nourished my faith and prepared me to answer God’s call to religious life. I am grateful for the wonderful women who entered with me who helped me through college in those early years, and to the many mentors, sisters, and friends that I have been privileged to have through the years. I am grateful for the many opportunities for study, spiritual retreats, travel, and community. This has truly been a wondrous life. I was born at our home near Beal City, Michigan, on March 31, 1934, the second youngest of twelve children. I attended kindergarten at a one room country school and entered St. Philomena Catholic School for grades one through six. I finished my junior high and high school education at Beal City Public School. I worked in an insurance office after high school. 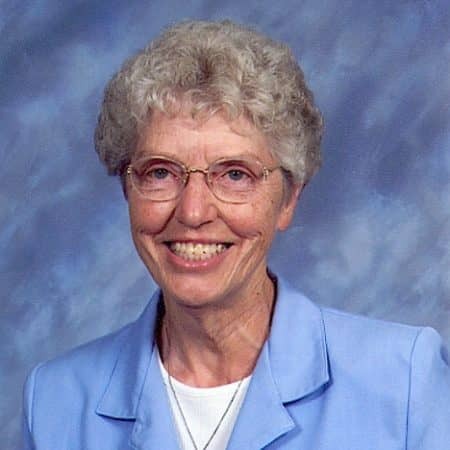 My vocation was sparked in sixth grade by Sr. Leona Loyer. It wasn’t until my visits with my sister, Sr. Doris, at Marywood that the Call became a reality and I entered Marywood on September 8, 1956. I graduated from Aquinas College and began ministry as an elementary teacher and principal in schools in Michigan and New Mexico. After sixteen years as a school teacher, I became a Director of Religious Education programs for children attending public schools, and later served in pastoral ministry focusing on adult education, liturgy, and service to the sick and homebound. In her ministry on the Pastoral Care Team, Sr. Cecilia provides companionship and prayerful witness to patients and family members at Marywood Health Center.